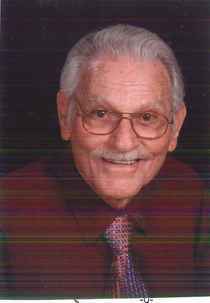 Frank Wilburn Wilson, 87 years old, born July 5, 1928, of Candler, went to be with the Lord on Tuesday, November 3, 2015. He was the son of the late Rev. Hubert Wilson and Hattie McElrath Wilson. He is survived by his loving wife of 67 years, Emily Cathey Wilson; sons, Randy Wilson (Sandy), Larry Wilson (Cindy), daughter-in-law, Brenda Wilson; grandchildren, which were the love of his life, Melanie Wilson, Allison Morgan (Kevin), Jennifer Kruk (Casey), Brandon Wilson (Stacey) and Cody Gentry; great grandchildren, Blaike Fisher, Malachi Morgan, Evan Wilson, Cooper Kruk, Kampbell Kruk and Viven Wilson. He is also survived by his brother, Hubert "Bud" Wilson (Bernice); sister, Ella Hardin, several nieces and nephews, special friends, Joe & Juanita Ball, Bruce &Paula Taylor, Glenn & June Thompson, Frank Messer, and Lindsay & Jenny Barrier. Frank retired from America Enka Corporation with 38 years of service. He was a faithful member of Pole Creek Baptist Church, where he served as a Deacon, Sunday School director, and training Union Director. He also worked as a RA leader, sang in the choir and was on the cemetery committee. A Memorial Service will be held on Saturday, November 7, 2015 at 2:00pm, the family will receive friends an hour and a half prior to the service at Pole Creek Baptist Church, 96 Snow Hill Church Road, Candler, NC. Reverend Dennis Thurman will officiate the service. A private family burial will take place at a later date. In lieu of flowers donations may be made to the JF Keever Solace Center Care Partners PO Box 25338 Asheville, NC 28813.